Welcome to the world of home decor minis! 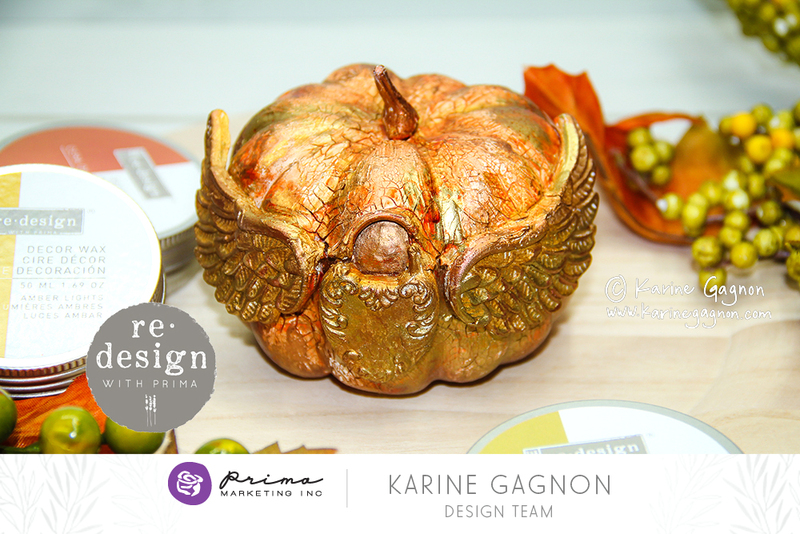 We challenged our team to show creative ways to use our [re]design with Prima® DIY products, but on a smaller scale. We think you are going to LOVE what these gals created for you! 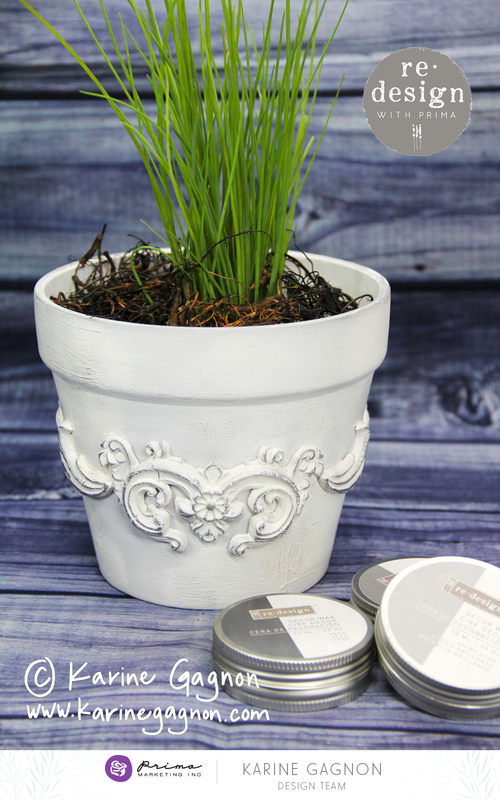 Miranda couldn’t decide if she wanted her altered pumpkin to stay white, a classic look that looks good anywhere, or colored to add a bit more personality…so she did both! 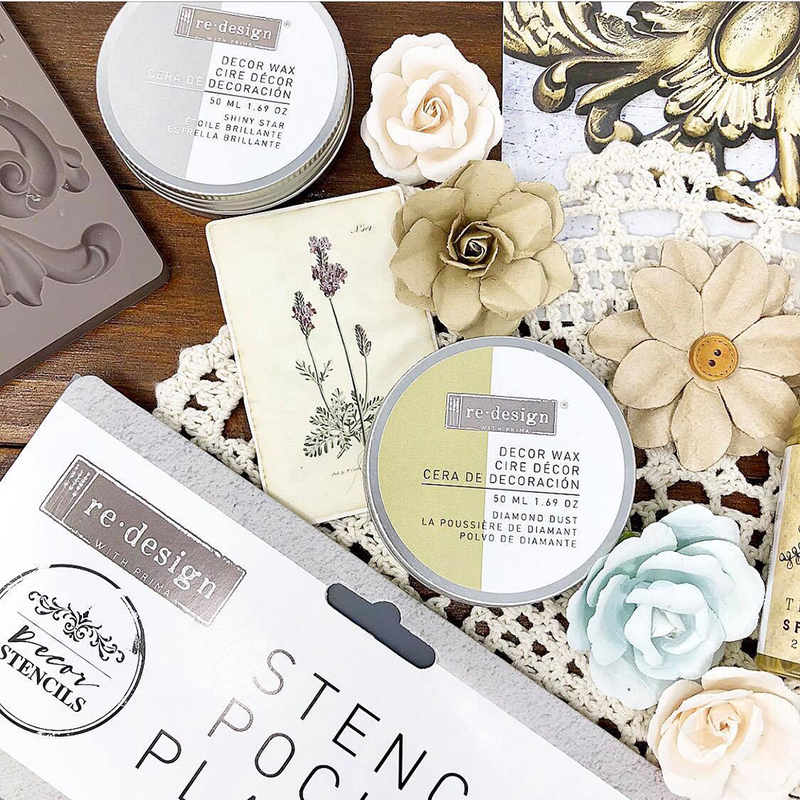 products: # 632878 Redesign Decor Transfer™ - La Vie Est Une Fleur 17x27 -# 632946 Redesign Decor Transfer™ - Carte Postale 36.2x24 - #633875 Paper Clay Bucket -# 632298 Redesign Decor Mould™ - Lowell Lattice -# 632397 Redesign Decor Mould™ - Warrington Framework -#816858 Plate Blank 10"
Anita chose a few [re]design decor moulds™, paperclay, and wax to add style and dimension to her mixed-media book! You can see her whole creative process below! 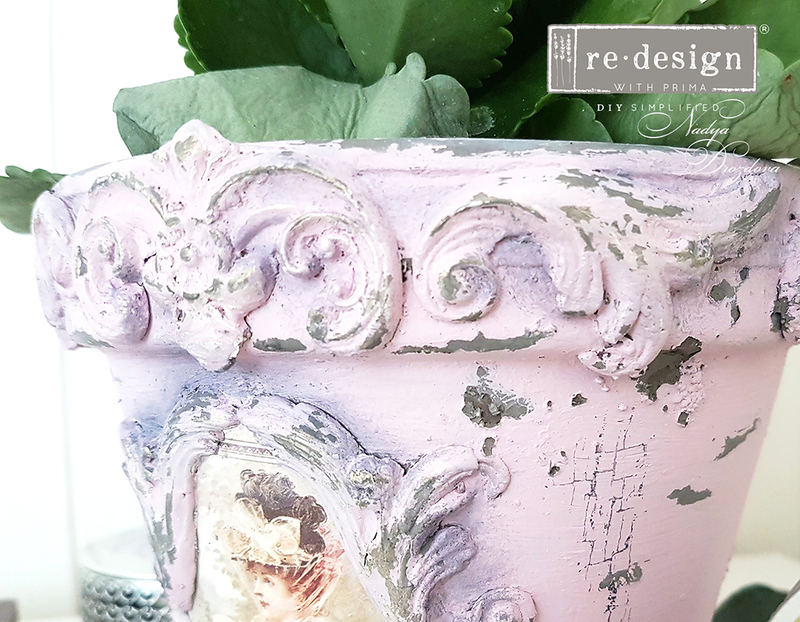 Let’s close this HUGE post off with a fun video showing our new [re]design decor moulds™ in action!